Hiya folks! It's coming up to Christmas, so here's my prezzy to y'all. T'was written and recorded here in NZ in the heat of summer, so it has that cruisey summer vibe. Alas, work here tends towards craziness in the summer, so I haven't been on the forum much of late. So sorry. As usual it's in D minor. 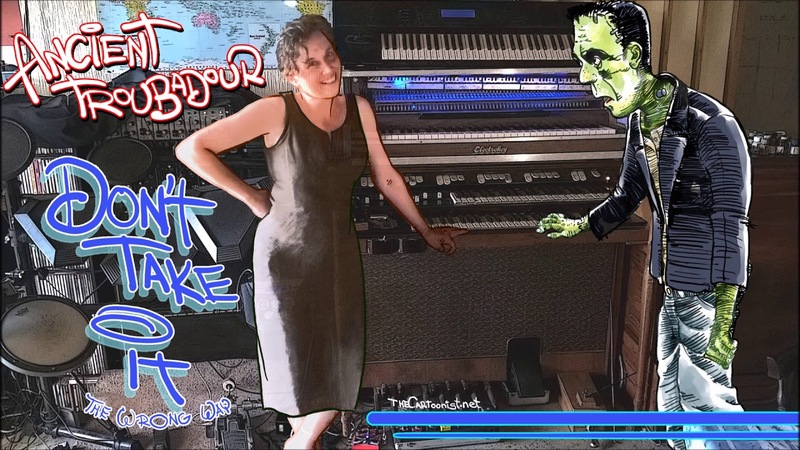 Only a little organ in this song, M101 and 122, and about 70% of the time I've put it through a phaser on TOP of the leslie, a very unhammondlike sound. Electric piano is on main riff and half of the soloing, the other half is synthi-flute via the old korg seen atop the keystack in the pic. Bass is acoustic electric, guitar is played via a modded L100 amp and reverb. Drums are played live, but only just well enough to keep time. It's hard to get good staff, you understand!